Kalf has announced the launch of its new 2018 spring/summer collection. Catering for both male and female cyclists, the range comprises of a full body of kit including short sleeve jerseys, lightweight rain jackets, gilets, bib shorts and a number of other warm weather accessories. Like all of Kalf’s apparel, the collection combines functionality with style to offer the level of detailing you would expect from a luxury brand - without compromising on value. Having first launched in the early part of 2017, this year’s spring/summer collection sees the introduction of eight entirely new garments as well as updates to a range of existing items and accessories. 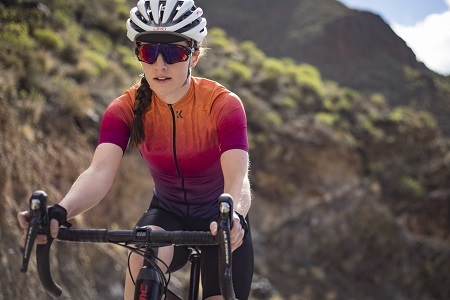 The collection is split into three different ranges - Flux; form-fitting racewear, Club; clothing for the everyday rider and Terra; relaxed garments for a variety or riding terrains. Following high demand from customers, the men’s and women’s Flux Jerseys have returned - this time with striking two and tri-tone colourways. Designed to fit close to your body, the Flux Print Jerseys use a soft compliant Lycra to ensure an aerodynamic cut that doesn’t feel restrictive. Perforated under-arms also help transfer moisture away from the skin, whilst a zipped pocket across the back helps keeps valuables safe.